During the UPA regime, top bankers were chosen first by a committee consisting of the financial services secretary, an RBI deputy governor and a couple of "independent" experts, says Subir Roy. The National Democratic Alliance (NDA) government has decided to scrap the selection of eight executives to serve as chairmen and managing directors (CMDs), and 14 to serve as executive directors, of public sector banks. These selections were finalised by the United Progressive Alliance (UPA) government; the NDA has decided to find its own nominees instead. It is par for the course for a new government to reject the decisions taken by its predecessor at the fag end of the latter's life if it can do so within the bounds of propriety. It is even better if it can blame all this on the flawed system followed by its predecessor. The selection process is being changed, says the government, as the Central Bureau of Investigation (CBI) has informed it that the process adopted for appointing the former CMD of Syndicate Bank, caught in a bribery scandal, was non-transparent; and as a committee, including the governor of the Reserve Bank of India (RBI), has done a report on the selection process. The government will now follow a new procedure that will include the RBI governor and also one of his nominees. Would the CBI have pronounced similarly if the UPA had still been in power? There are many views even on how the CBI director should be appointed and the present incumbent is himself under a cloud. Till the UPA quit, top bankers were chosen first by a committee consisting of the financial services secretary, an RBI deputy governor and a couple of "independent" experts. Their choices were then sent to the appointments committee of the Cabinet. The latter seldom returned names because, in all likelihood, names that could be returned were not sent. Everybody essentially went along with the financial services secretary's thought process. 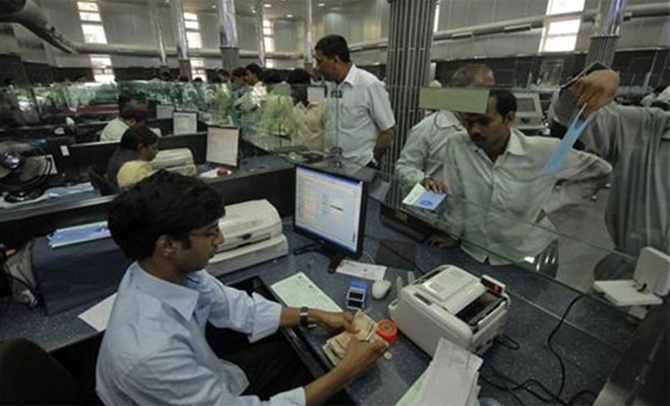 Under the new system, there will be the earlier RBI-and-civil servant duo, plus four "independent" experts. They will form three sub-committees of two members each, which will independently come up with names; these will go before a committee of the RBI governor, the financial services secretary and the "independent" experts. This committee will finalise the names and send them to the Cabinet committee for approval. Will the selection committee of six choose by voting or consensus? And to what extent will the Cabinet committee be bound by the selection committee's choice, considering the RBI governor had put his stamp of approval on it? It is indisputable that that the earlier process of top bankers' selection was flawed. A respected former State Bank of India chairman has described what often went on as "disgraceful". But it is idle to think that the new system cannot or will not be compromised. Its plus is a bigger role for the RBI and a key role for the RBI governor. The present RBI governor is widely respected - but surely the success of a selection process should not be predicated on the presence of one individual. There have been RBI governors of varying capability. Manmohan Singh himself was once RBI governor and eventually went on to head a government that followed a hugely flawed system. The most fascinating is the case of the financial services secretary. He played a key role in the selection process (he took over in March) when it was broken; he continued to play a role when it was being mended - and then it was "off with his head" in Alice in Wonderland fashion! There is also the issue of "independent" experts on the selection committee, all to be chosen by the government. The final arbiter, in any case, will be the Cabinet committee made up of politicians in power. Politics cannot be kept out of the process; and, so long as the country's politics is what it is and the major political parties are drawn from the same stock, we will have to live with more or less the same type of political choices we are familiar with. It is long past the deadline set by the Election Commission to submit statements of expenses incurred during the parliamentary elections earlier in the year, but neither the Congress party nor the Bharatiya Janata Party (BJP) has yet complied. The BJP had not filed till May the expenses statement for the Karnataka Assembly elections held last year in July. If you are cooking the books, it can take time. It is idle to expect a system in which black money plays such a role (look at the tip of the iceberg - pre-election cash seizures) in elections to throw up political dispensations that will invariably select upright competent professionals to head public sector banks. These banks' developmental role is over. They cannot address the new task of achieving financial inclusion that the new category of banks mooted by the RBI, microfinance organisations and business correspondents can do better. To keep them in the public sector will raise the question whether the NDA government, like the previous one, does not want to let go of this powerful channel for the distribution of political favours.